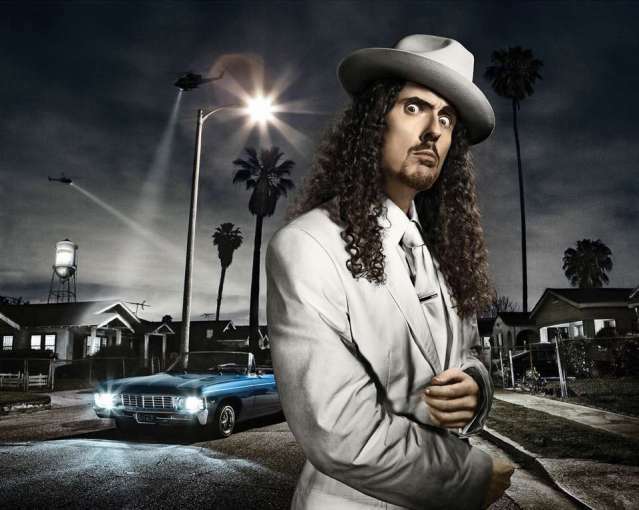 “Weird Al” Yankovic: International Man of Hysterical. 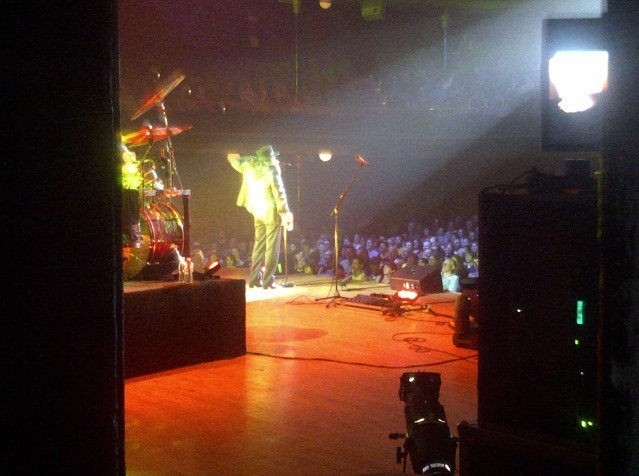 What is being personally pegged as the event of the summer, Mister Weird was in Toronto July 16th for two back-to-back shows at Massey Hall, in promotion of his new album Alpocalypse. 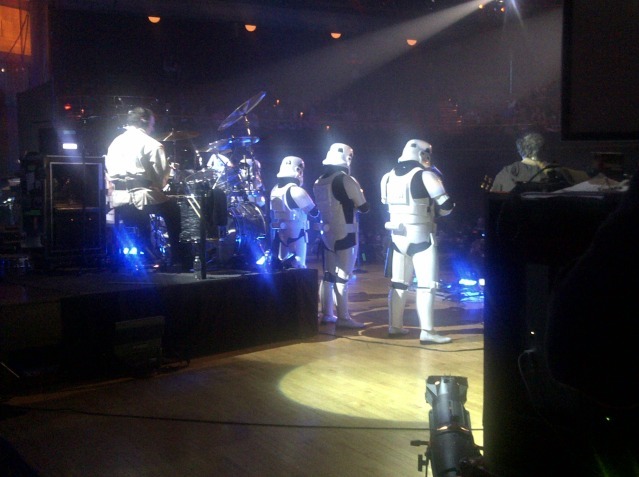 The double two-and-a-half-hour extravaganza was a medley of parodies old and new, including a finale of Perform This Way (Lady Gaga gem), video clip montages, comical costumes, a very White & Nerdy Segway, and an encore featuring The Saga Begins and Yoda — all of it being recorded for an upcoming TV/DVD concert special. 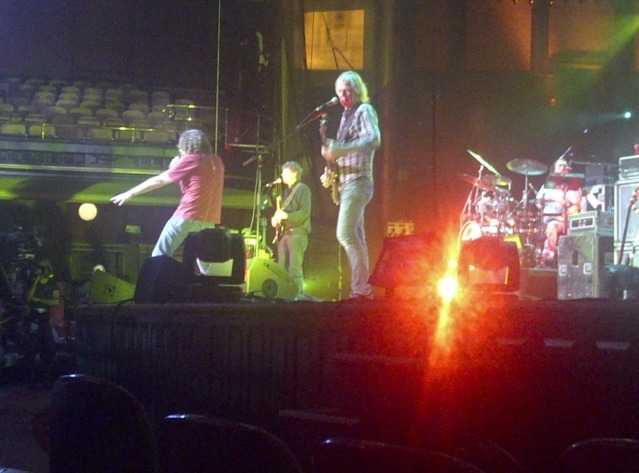 A front row seat almost guaranteed some intimate one-on-one Weird Al hip-thrust action during Wanna B Ur Lovr. The wide-range crowd was a flurry of rowdiness and pure excitement, laughter, and admiration of the comedic stylings of Weird Al — a legend with a career that has been holding strong for over twenty years. The act was overflowing with energy, in large part sourced from the audience’s enthusiasm of being in the presence of someone so worthy of recognition. And, “to the snotty barista at the Queen and Victoria Tim Horton’s” — you were called out. Speaking of magical, bestowed upon me was the honour of being one of two back-up dancing cheerleaders during Weird Al’s live rendition of Smells Like Nirvana. An epic stage-rush, amazing crew, and rehearsal preview aside, a true appreciation of Weird Al Yankovic was born. He’s not insane, he just performs that way, hey! 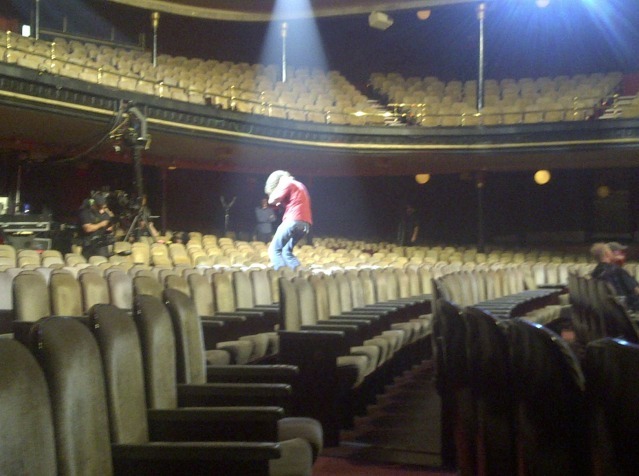 Rehearsing Wanna B Ur Lovr. Like a boss. Remote-controlled R2-D2 just chillin’, illin’ — but where are the Stormtroopers? 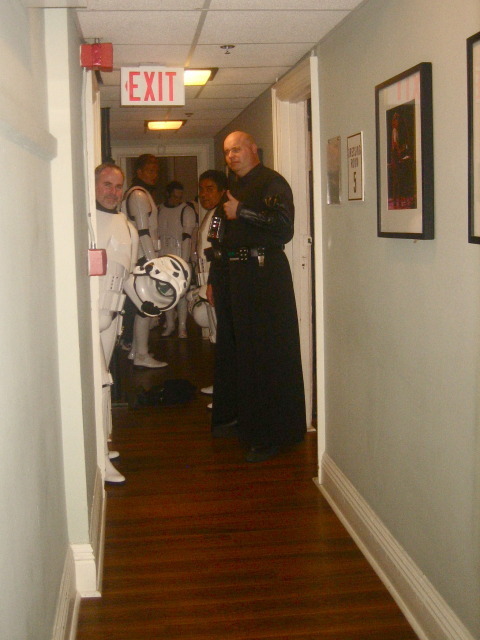 Oh, they’re lurking the backstage halls with Darth Vader. 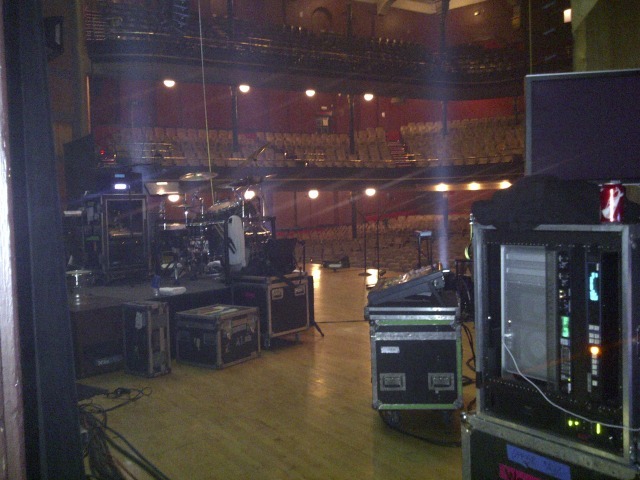 An empty venue, awaiting eager fanfare. Pre-show cheerleader pride! And 5, 6, 7, 8! Showtime! The view from behind. This song will be embedded within my soul forever. ok, you didn’t get me an autograph. whatever. i see how it is. you were too busy basking in the parodic glory of the man himself. i am so very vicariously enjoying your backup dancing experience thing though.